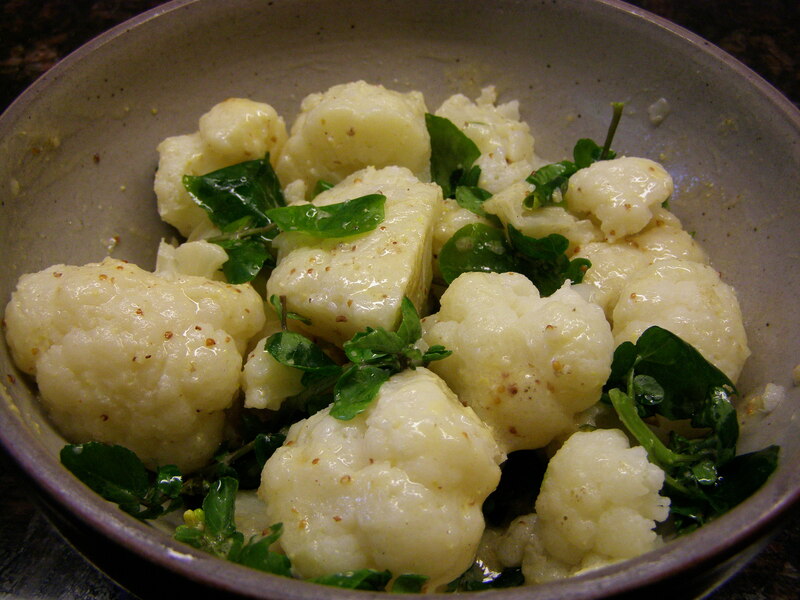 This is one of my favorite salads, the best way to eat cauliflower in my opinion. This is a French classic family recipe, nothing fancy, just the fact that the cauliflower is cooked. Start by removing all the leaves from a head of cauliflower, then steam it until done, but quite firm. Cut the “flowers” apart in small pieces and add them to a sauce vinaigrette. Today, I added some watercress leaves because I was out of parsley and that tasted amazing. To avoid odors while cooking cauliflower, add a tsp baking soda to the water! This entry was posted in Starter and tagged cauliflower salad, cooking, food, French cooking, french salad, recipe, recipes, salade de chou-fleur. Bookmark the permalink.